Woods has not set a timetable for his likely return and could possibly also miss the July 17-20 British Open. 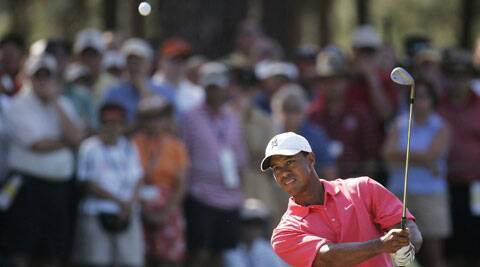 Three-times champion Tiger Woods has ruled himself out of next month’s U.S. Open at Pinehurst in North Carolina as he recovers from back surgery, the second successive major championship he will miss this year. The former world number one has been sidelined from competitive golf since late March after requiring treatment for a pinched nerve in his back that had troubled him for months and was unable to compete at the Masters in April. This will be the sixth major championship missed by Woods due to injury, and he remains stuck on his career tally of 14 wins, having not clinched one of golf’s blue riband events since the 2008 U.S. Open at Torrey Pines. Woods has not set a timetable for his likely return and could possibly also miss the year’s third major, the July 17-20 British Open at Royal Liverpool in Hoylake, England. The 38-year-old American has been increasingly plagued by injuries in recent seasons as the wear and tear of years on the tour have begun to take a toll. He failed to finish the PGA Tour’s Honda Classic in early March, quitting after 13 holes in his final round. The American then tweaked his back again on the last day of the WGC-Cadillac Championship in Miami just one week later and opted to undergo surgery on March 31.